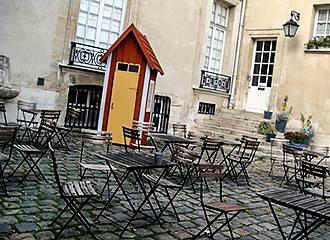 The Swedish Institute in Paris is a cultural centre first established in the 1970s in Paris and holds temporary exhibitions, concerts, film screenings, debates, language courses and seminars, and is also home to the Musee Tessin and the Cafe Suedois restaurant. Some of the Marais area of Paris was getting rather dilapidated and many of the old mansion houses needed to be restored and a plan was put in place by the city of Paris back in the early 1960s to improve the area. One of these old mansion houses called the Hotel de Marle, was such a place that needed restoring rather than demolishing, as it dated from 1560 and was purchased by a Parliamentary official in 1572, and over the years many changes occurred. But it was during the 1770s that major changes were implemented including adding a grand staircase, and sumptuous decorations including frescos, etc. 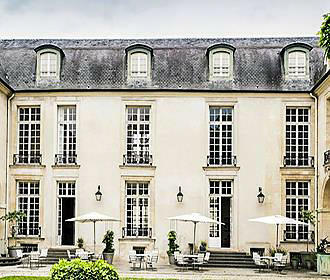 But the Hotel de Marle was sold in 1816 and became an educational property then commercial premises, which including a factory, laboratory and so on, which of course meant that the whole mansion had been divided up into different apartments and much had been changed including blocking original openings and even putting up sheds etc within the courtyard and garden. Yet the Hotel de Marle was put on the list of historical monuments in Paris in 1961, and in 1965 this was purchased by the Swedish Government with a mission to restore the mansion to its former glory and provide a cultural centre. Work started in 1967, which included clearing the courtyard and garden, stripping off old coatings and layers of paint to get to the original decor, restoring the grand staircase and the facade, etc. And eventually, the Institut Suedois was officially opened in 1971. 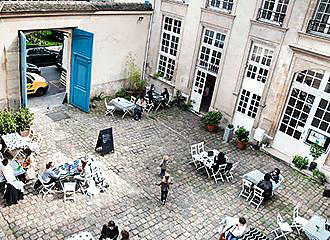 As we have mentioned, the Institut Suedois is the Cultural Centre of the Swedish Institute in Paris, and is in fact unique, as it is the only centre of its kind outside of Sweden, which enhances the relationship established between both countries. You will find numerous different events that take place at the Institute Suedois throughout the year, including concerts, literary readings, seminars and meetings, along with film screenings, theatre productions, dance and music nights, plus temporary art exhibitions including contemporary art works, which are also exhibited throughout different times of the year. However, there are also Swedish languages courses available, and you will also find the Cafe Sudois, which is based on traditional Swedish dishes and snacks that are baked and produced on site daily, plus there is a museum called the Institut Tessin, that looks at artistic history with artworks from the 18th century onwards. The Institut Suedois in Paris is open on a Tuesday through to a Sunday from noon until 6pm for people to visit the exhibitions, the garden and courtyard, etc completely free of charge, and many of the events that take place in the Hotel de Marle are also completely free to enjoy. However, some of the events do take place of an evening, and some of these do carry a charge, so it is worth checking with the Swedish Institute to find out their agenda and what the upcoming programme of events are. 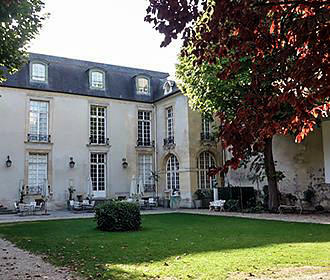 As we have already stated, the Institut Suedois is located within the Marais area of Paris in the 3rd Arrondissement within the Hotel de Marle, and you enter via the blue doors that go into the courtyard, which is located opposite the Square Georges Cain and close to the Musee Carnavalet. When it comes to public transport in Paris, the nearest Metro stations are the Saint-Paul stop via line 1 or the Chemin Vert stop via line 8, or alternatively, you have the bus numbers 29, 69 or 96 that will get you close by.